After poor marketing design vRAM past, Vmware has made another mistake on restricting of free license of ESXi. The free version of ESXi makes you only run VMs on host which has no more than 32GB memory. This change (in my opinion, it’s also a wrong decision again!) pushes all customers from Vmware side to Microsoft side and also with no free licensing on Test and DR environment (which means you have to buy Essential Kits to cover Test and DR Hosts), we are facing no options but start to use Hyper-v in all tests environment. 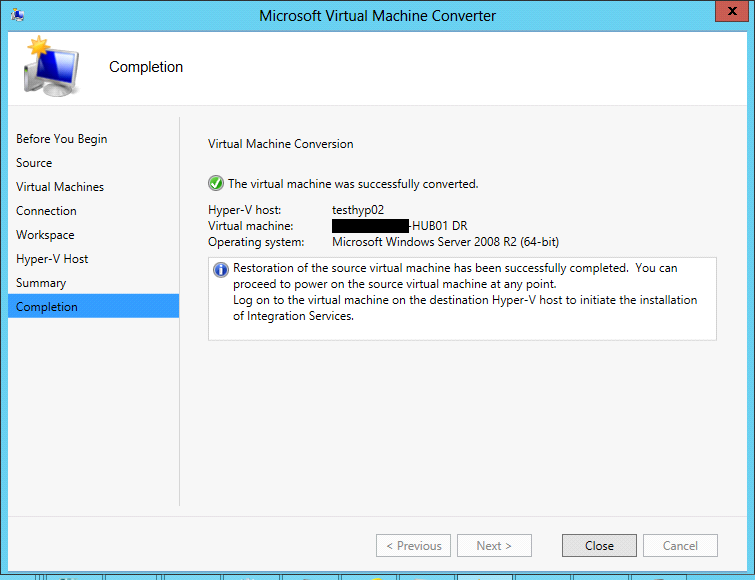 One of most important elements of using Hyper-V is to convert existing VMWARE VMs to Hyper-V server. 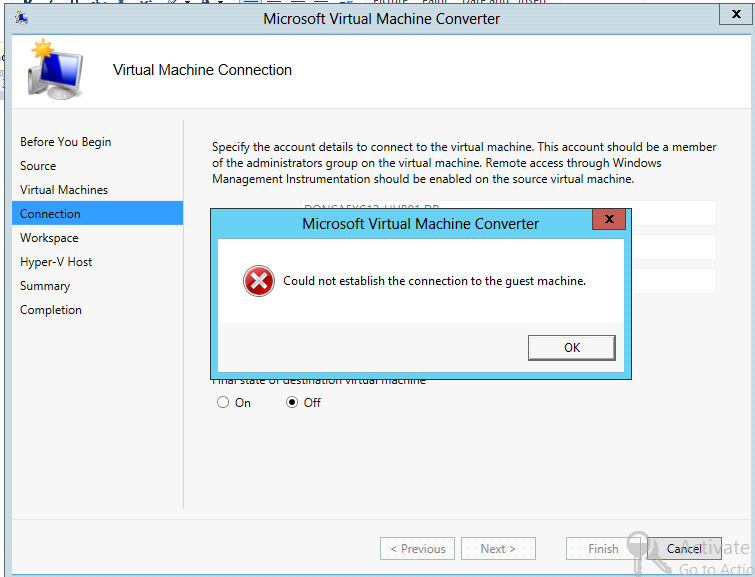 MVMC (Microsoft Virtual Machine Converter) is one of tools you will use during the process of converting from Vmware vSphere to Microsoft HYPER-V.
Now, you will face some common issues and I hope this post will help you save some time. MVMC actually has two parts. 1. MVMC to move VM with both CLI and GUI. 2. 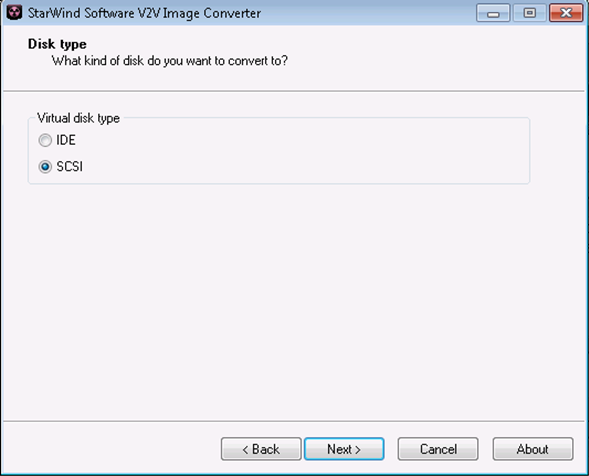 MVDC (virtual Disk Converter) to only convert disks from vmdk to VHD. You are required to type ESXi or vCenter information here to get access to VM list. Behind the scene, What it does is to access ESXi web API to check VM lists on that ESXi. As you can see, here is where you select your VM to be converted. 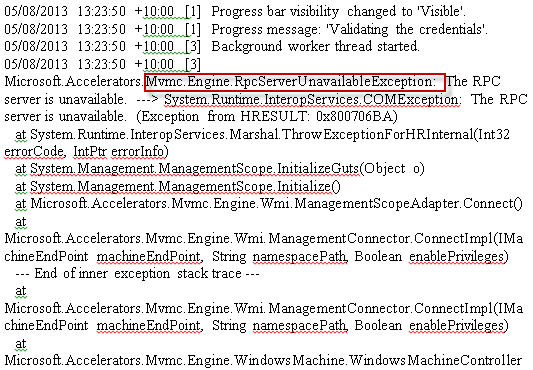 The BLUE exclamation mark indicates that VM can’t be converted. There are quite few reasons why a VM can’t be converted, but on this picture, State is “OFF” and another VM without Vmware Tools can’t be converted. Now, here is the interesting part. A login user can be used here directly, and notice it says Final State of VM is ON or OFF? Again, it’s Final State of VM. It’s not all time states. 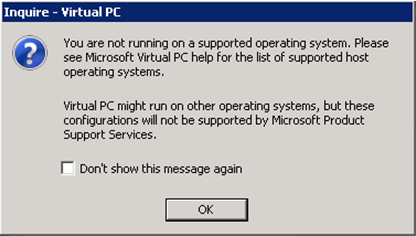 so the original VM will be shutdown no matter what and it’s up to you to make it start again at the end. If you want to convert VM on the fly without shutdown a VM, this is not the tool you should use. Behind the scene, MVMC talks to ESXi to get snapshot of original VM while it’s running, the snapshot should include memory status as well. 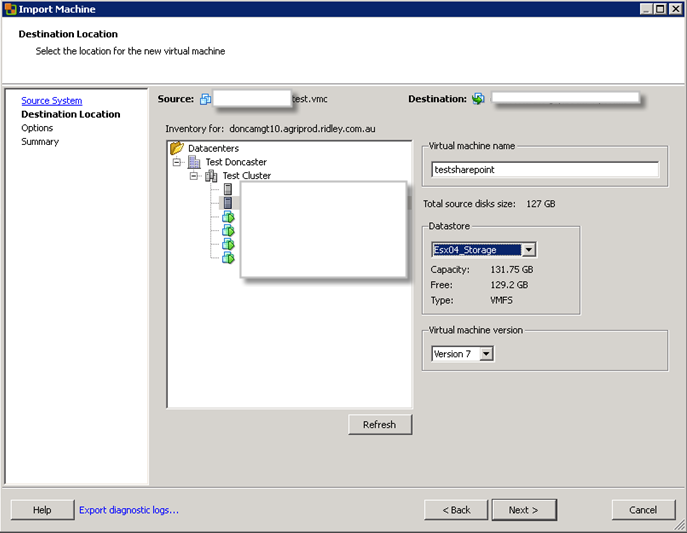 so estimate free size of VM storage. Once snapshot is done, it removes Vmware tools and shutdown the VM. Then, it will export VM as OVF template which essentially isolate VM from hypervisor hardware layer. If your VM is a Microsoft TMG, then you probably don’t want to do that since TMG remembers the MAC of it’s nic and stored it in it’s own database. Now, there is a way to “hack” TMG, but this post doesn’t include it. 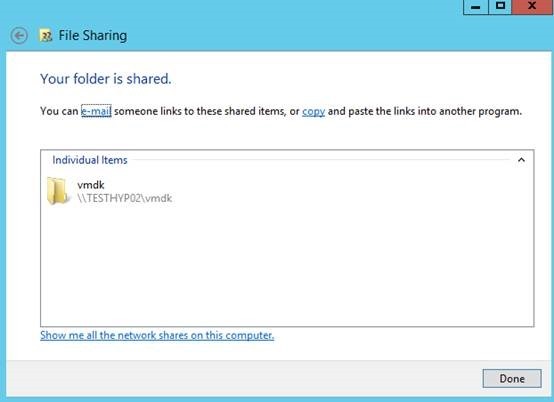 But I strongly suggest to use a UNC with share to store VMs. This is where VM will sit. Now, according to Microsoft, it requires at least double the size of VM. As matter of fact, it requires triple size space rather than double. Behind the scene, Like what I mentioned above, a OVF template has been generated. Now, OVF template is a compress format, so a 50GB vm can be compressed around 13GB. so this 13GB is downloaded to \\testhyp02\vmdk folder and MVMC will start convert it to 50GB vhd. After that, 50GB vhd will be copy (or upload) to Hyper-V VM location so that’s another 50GB, compressed if you use Dynamic disk. finally occupied Size is 13+50+50=113GB. 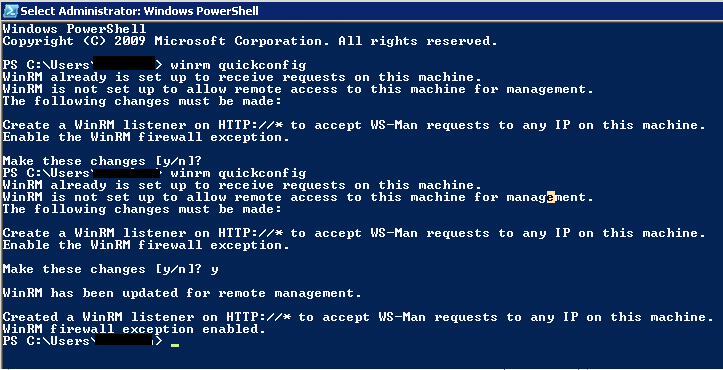 Now, when you see this page, you are pretty happy that VM has been converted and insert into HYPER-V and up running. Now, remember this is VM from OVF, so some clean up must be done. install new version of Integrated Service. If you don’t install this integrated service, those hardware can’t be identified. It does warn you the OLD IP exists, but after overwritten IP, it seems working. If you want to show hidden device of that old NIC, you won’t be able to find it. MVMC has used multiple Microsoft technology in terms of converting. The most common error you will get is this. You can find log file here. Now, for Windows 2008 R2, I recommend you to do following steps. 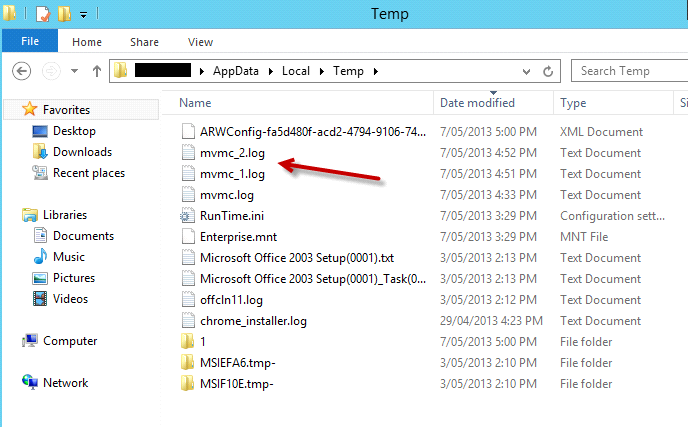 Winrm allows Windows server (2012 in this case) to remotely manage VM in terms of removing Vmware Tools. 3. 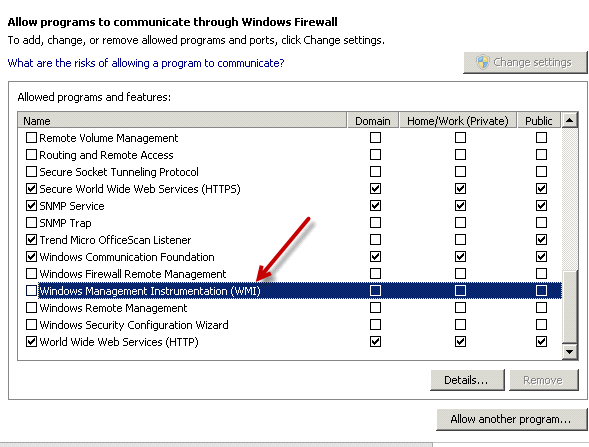 You need to enable WMI and File and Print rules on FW no matter FW is on or OFF. Now, after you have enable all three tricks, you can run some simple test. 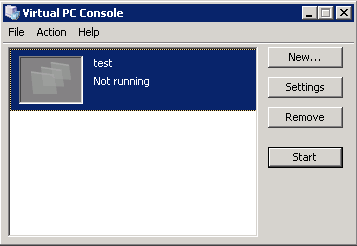 For WINRM, you can run “winrs /r:yourTestServer ipconfig” from your MVMC server. If it shows result, then WINRM is working. for WMI, you can download WMI administrator Tools and remote access root folder of VM, if you can see content, then it means it’s working. Restart MVMC wizard and try again. 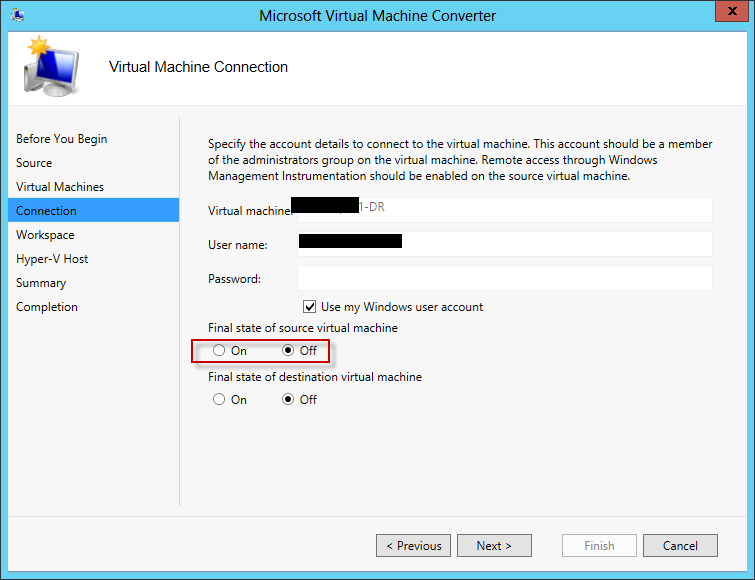 What about convert VM on the fly without shutdown ? I’m not quite sure whether any software can do that at this stage. But You DO can clone a VM to an isolated network. run VM and import it to Hyper-V with MVMC. 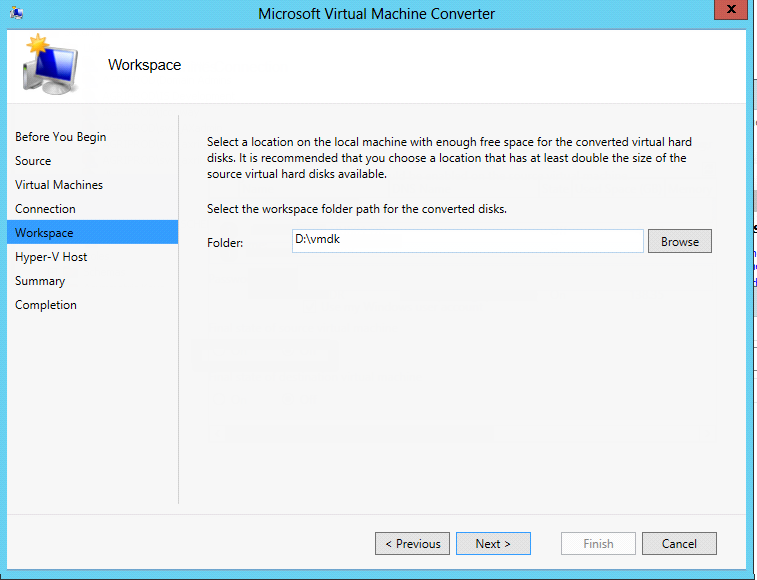 For large size disk VM, you may want to use MVDC to convert disk and build a VM in Hyper-V and insert disk. please let me know any thoughts. 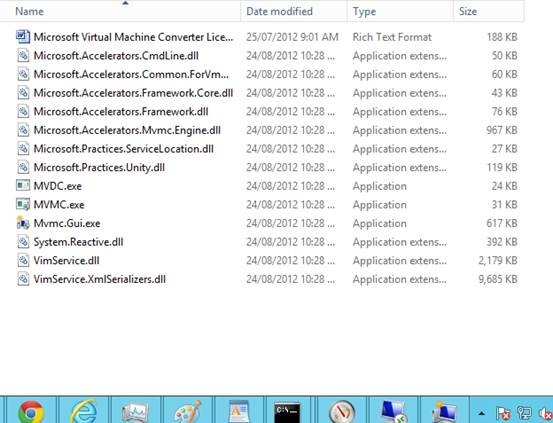 following is answer from Microsoft for converting V2V on the fly. 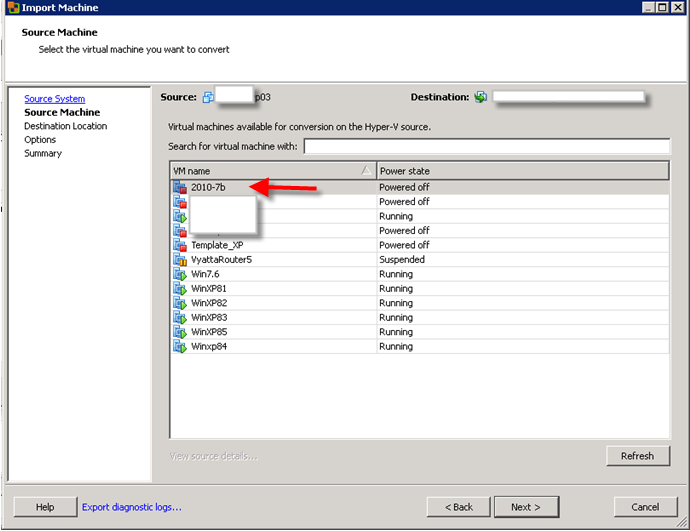 It’s “possible” to perform a P2V conversion on a VMware virtual machine using Virtual Machine Manager, which leverages VSS to take the required snapshots while keeping the target machine online. However, it’s required to remove the VMware client tools first, which will probably require a reboot anyhow. Here is a details you may find handy in the future. As we all use Microsoft products, MS always release their Demo with vhd format. 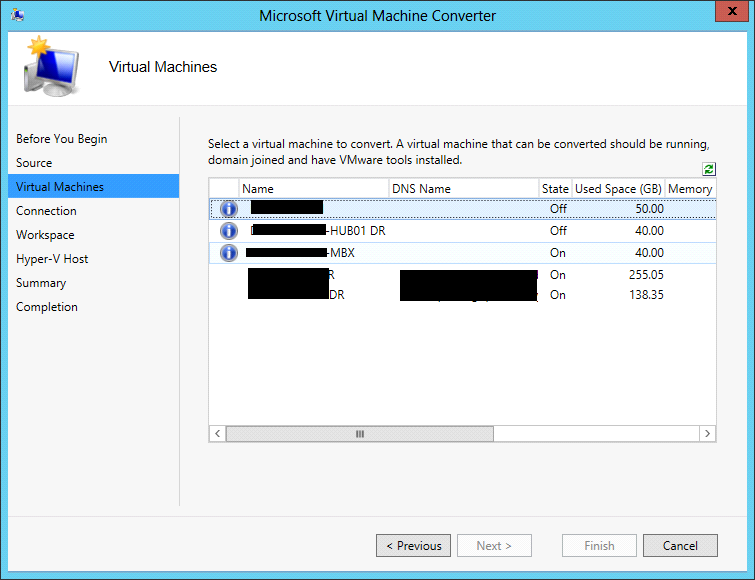 I always thought it would pretty easy and straight forward to convert vhd to vmdk. But it turns out it’s not exactly smooth like it sounds. so I write this article to help everyone who may have same issue. Let’s check out the basic requirement. 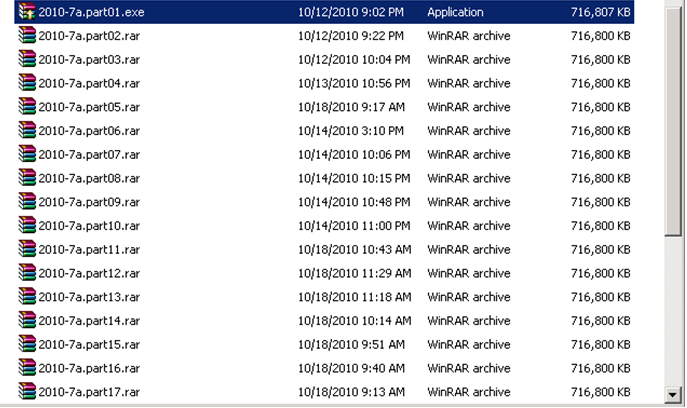 You need to download 28 winrar compressed files from Microsoft website. It will occupy 17GB space. Extra those 17GB files, you will get two folders. 2010-7a (44GB,vhd) and 2010-7b (14GB,vhd) file. These vhd are using thin mode. The full size of vhd is 133GB each. Run Sharepoint Demo in the Test or Dev Environment. You can install Windows 2008 R2 on a real physical server and add on Hyper-v feature. 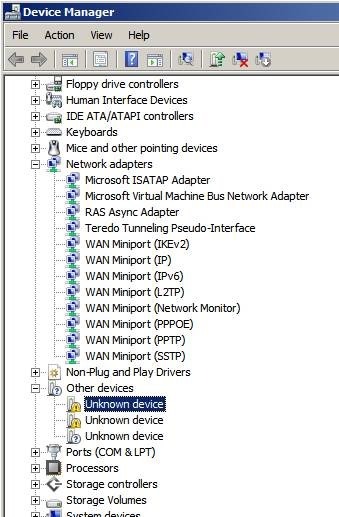 However, if you don’t have Hyper-V, you may encounter following. 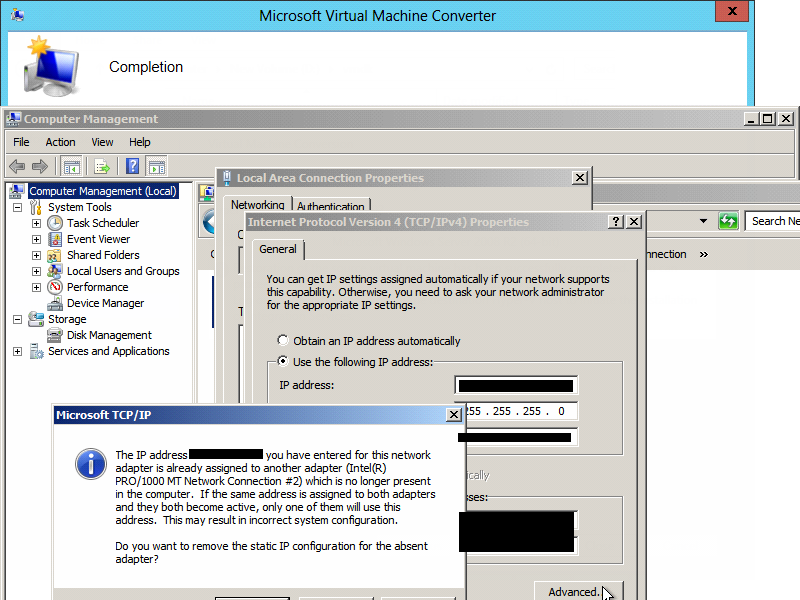 1.MS doesn’t allow you to enable Hyper-v feature on a VM. 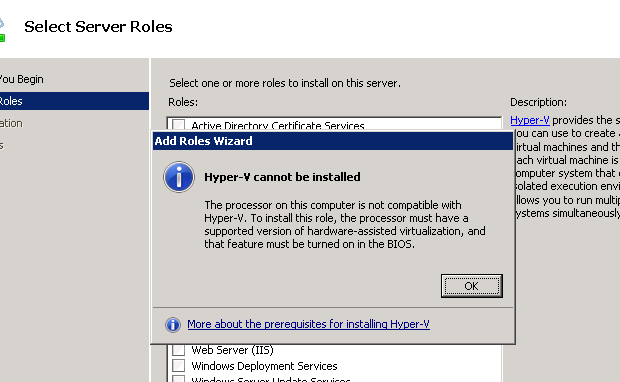 There is no other way to install Hyper-V on VM. 2. Virtual PC can’t run this Demo either. As matter of fact, MS recommend only use Hyper-V R2 to run it. If you environment is complete VMWare, we need to figure out a solution to run DEMO in the Vmware vSphere Test or Dev env. But we also don’t want to waste all unnecessary space during the procedure. So for all converting, vhd or vmdk must be stay in thin disk mode. Vmware Convert is an excellent tool. However it doesn’t support vhd file directly. It requires thirdparty software to do preparation. Vmware Converter has 5 ways to import other machines into Vmware. Backup image or third-party virtual machine (Support virtual PC, Symantec Recovery Imange, Acronis etc, must be a vm, not a single disk). 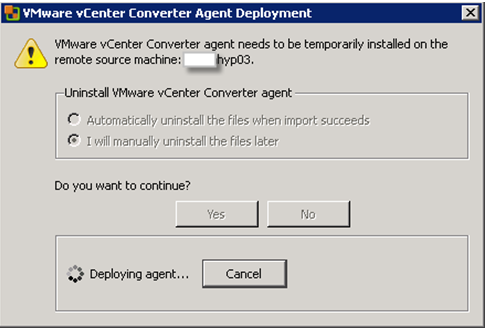 Hyper-V server (It will deploy convert agent on Hyper-v, doesn’t require reboot). In our case, we need to use method 3,4 or 5 to do the job. Method 3 requires a Vm workstation or VM server version of VM. We can use Starwind to do this job. 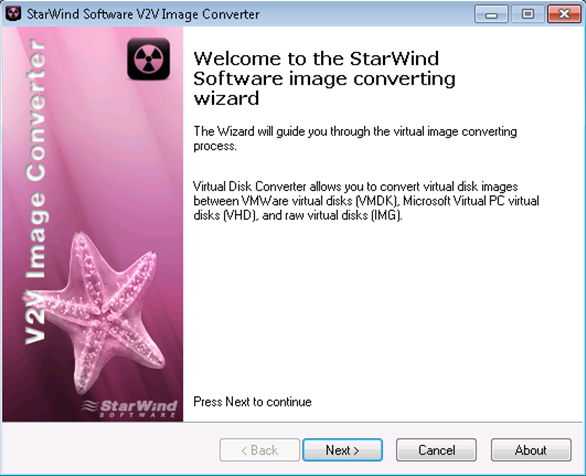 Starwind free tool V2V convert can convert VHD to VMDK and vice verse. It can has following options. First 3 options are what we concern. 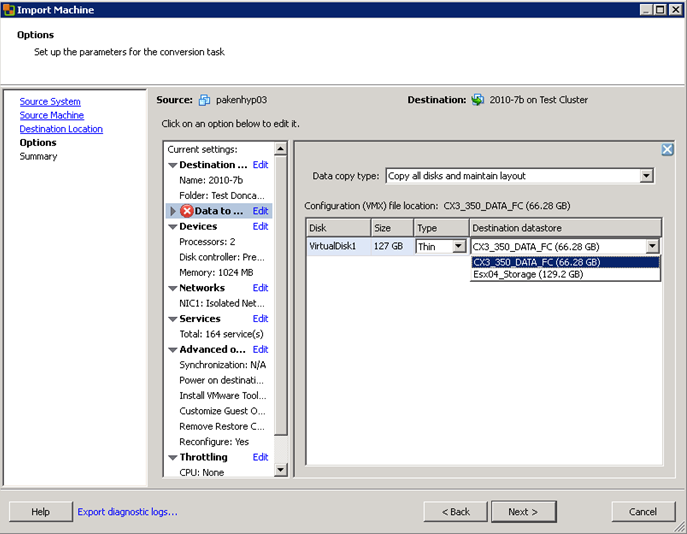 Vmware growable image and VMware pre-allocated image are VMware workstation version VMDK. First option is to use thin disk mode.If you choose this one, you have to download a VM workstation or VM Server to create a VM. Vmware ESX Server image is what we want. But it has biggest issue. There is only thick mode for this option. In our case, you have to convert 43GB VHD(thin mode) to 131GB VMDK (ESX but thick mode). You can upload this big fat file to your storage space but it will cause lots disk consumption and time. Then, you can use VMware converter to import it into ESX. Method 4 is the one I recommend here. All what you need to do is to download Virtual PC 2007 SP1 which can be installed on the Windows 2008 R2. You can simply run it easily and ignore the warning it gives you since you don’t need actually to run vm. You just need to create a Mcirosoft Virtual PC VM. 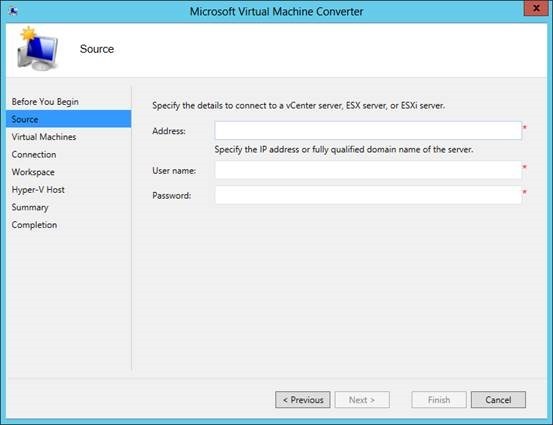 Then, you can use VMware convert to import it into ESX. Method 5 is a little distance to go. You need to install a Hyper-v on bare physical hardware and create a VM and import the vhd disk. Then, you can use VMware convert to import it into ESX. 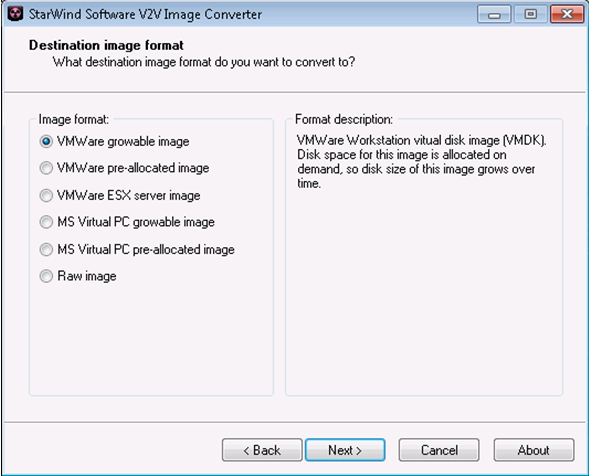 Convert VHD to Vmware method.